Welcome to SLOW N LOW BARBEQUE. Established in 2004, we specialize when it comes to slow-cooked and smoked pork, chicken, ribs and beef. We serve clients from around Rockledge, Cocoa Beach, Melbourne and Merritt Island. 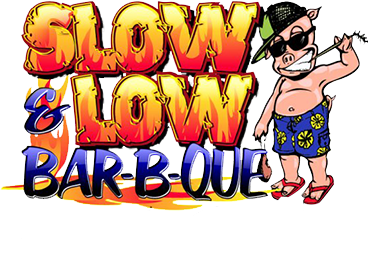 SLOW N LOW BARBEQUE was founded by Nicole and Joel Smith in 2004. Despite a difficult year with Hurricanes Frances and Jean with heart and dedication, we managed to open another restaurant in Viera. We focus on each customer’s happiness and preferences. Our experienced chefs put a creative twist on every dish, always preparing crispy, appetizing and delicious ribs, smoked pork, chicken, beef, and enormous turkey legs. Always expect impeccable service and one-of-a-kind BBQ! We value community and charities! 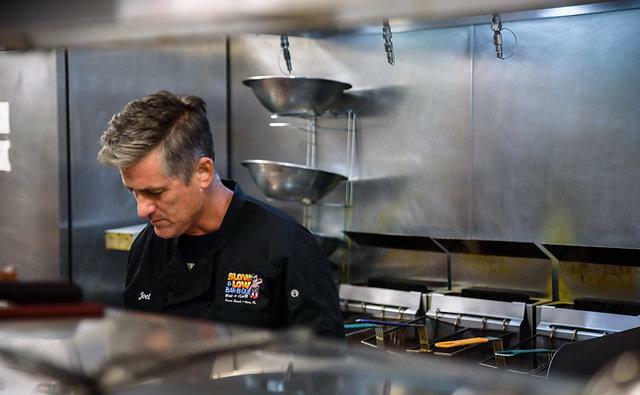 Expect impeccable service and one-of-a-kind BBQ! When you pair good food with great people, everyone has a good time! 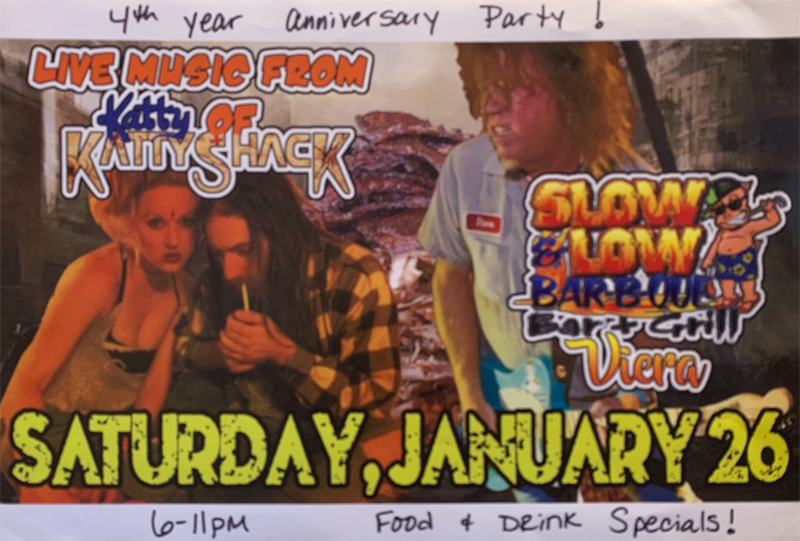 That’s why there is always something fun happening at SLOW N LOW BARBEQUE. Every day is special at our restaurants, be it in Cocoa Beach or Viera. From happy hour to kids night, there is something for everyone! We are known mostly for our BBQ nachos, baby back ribs and The Hog pulled pork sandwich. With a full bar at each restaurant, we guarantee that you’ll have a memorable time with your loved ones. Join us for live music on Thursdays, Fridays, weekends! We have a vast menu of unique appetizers and dishes to choose from. All our food is prepared and cooked daily using only the freshest ingredients.